Have you known a Blockchain that based on real estate functions? This is about it. Etheera is a project Real Estate with Swiss based company that is active in the real estate field since 2013 As industry insiders with very wide expertise, market knowledge and informative exchange with business partners, owners, the landlords and potential buyers, they have recognized problems and suboptimal processes already at the national level without imagining the same but much wider problems on international level . Etheera finally found the all in one solution. Etheera offers the first decentralized global real estate platform, based on the Ethereum blockchain, which provides properties for purchasing, renting and bed, & breakfast offers. This platform is ideal for everybody and everyone, even if you as a private person want to provide a room for one night or longer period of time, or wheter you are looking anything else. Etheera also thinks about the real estate brokers and professionals of the industry and offers a complete software tool which has integrated possibilities and will match all needs. Simply the all in one solution for everyone. Resulting from the first point above, there are many matching opportunities missing between sellers and interested buyers. Unsold or the unleased properties automatically extend the empty stand and bringing in just highly missed revenue that kills businesses. Bad network and relationship between national brookers. Scaled on international levels, it is pretty much bad. Although very often, buyers are from other countries and not familiar with local languages. This results in bad service and loss of mandates. Brokers are so important, because many parts and processes such as the price estimate of the property, visits, relationships with banks and much more are mandatory and can’t be done by a robot. The brokers have to be top equipped to beready for efficient operations. Currently, the software tools and working instruments for brokers offer too little, or it will need a lot of individual tools which will need to be combined in the daily process. Most tools are too expensive and inefficient, confusing and with no satisfaction and this results in many errors on the human side. We are missing the international all in one tool for the agents that covers all needs in one screenor program from A to Z! The same applies to the prospectors and seekers of objects to buy, to rent or for bed & breakfast deals. Find immediately what you are interested in and what you are looking for, no matter where in the world. Ideal for brokers with an existing customer and property portfolio.Many integrated tools including CRM functions, calendars, callbacks, visits and publications, news letter, inbox/outbox, adding external API sand services, database with owners, prospectors, project management, dashboard, settings and access rights, import and export of datas, document creation, real estate estimates, global broker network and much more. The chance to be onboard from the beginning and earn bonuses up to 40% on the token sale. After token sale ends, etheera will be listed on different decentral exchange platforms. Keep your tokens or sell them on exchange platforms. The Etheera Project was established in 2017 by IZ Immobilien Kriens GmbH, a Swiss-based company active in real estate since 2013. As an expert in the Property industry, we have recognized the problems and suboptimal processes that already exist and with our Etheera find a solution to all these things. Etheera offers the first decentralized global real estate platform, based on the Ethereal blockchain. This platform is ideal for everyone, even if you as a private person want to provide a room for one night or longer, or whether you are looking for something else. Etheera also thinks of real estate brokers and industry professionals and offers complete software that has the possibility of being integrated and will suit all needs. Enough ALL IN ONE solution for everyone. Etheera Offers all in one solution with global portal and software. Immediately find what you are interested in and what you are looking for, no matter where in the world. Ideal for brokers with existing customer and property portfolios. Match allows search queries about all brokerage networks with customers and existing search queries and requests. International transfers and sales have never been easier. Many the integrated tools include CRM, calendar, callback, visit and publication functions, newsletters, inbox / outbox, addition of APIs and external services, databases with owners, prospectors, project management, dashboards, settings and permissions, import and export data, documents creation, real estate estimates, global brokerage networks and more. Bring and deliver the perfect service to your customers with Etheera. Reports and statistics for a structured owner or settlement with a potential takeover of property to lease or purchase. Implement Etheera’s vision, we are launching an initial coin offering (ICO) to issue Etheera tokens on the public Ethereum blockchain. The tokens called Etheera (ETA) will be issued during the ICO Timeline. 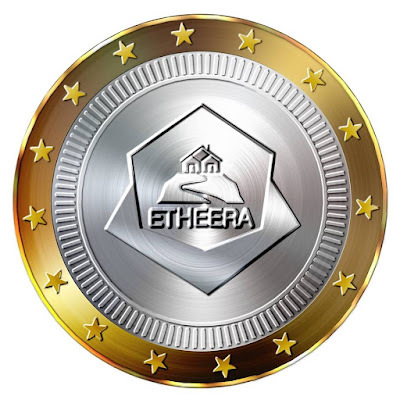 The ICO will be conducted at Ethereum blockchain and the Smart Contract directly, so to be able to participate in the Etheera’s ICO and get Etheera (ETA), you should just open an account at Etheera to view the Smart Contract adress. Etheera (ETA) tokens will be issued as ERC20 compliant tokens and you will need an compatible ERC20 Wallet as MyEtherWallet or Meta Mask.There will be many innovations that we are not aware of, starting from construction planning and execution, building materials and architectural technology up to finished buildings and marketing. The surface of the earth and its human population will force us to build the differently than we do now and the materials involved in this will be shipped from anywhere in the world. Global communication, networking and collaboration will become more and more important for the real estate economy.